Jens Wohltorf, Founder of Blacklane, explains how technology is shaping the future of business travel. 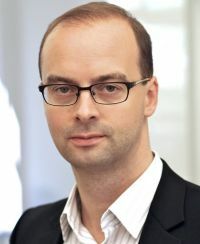 Dr Jens Wohltorf (born 1977) studied industrial engineering at the Technical University of Berlin with research residencies at MIT and the University of California, Berkeley. In 2005 he completed his PhD in Telecommunications at the Distributed Artificial Intelligence Laboratory of the Technical University of Berlin. During this time, he worked as head of the Competence Centre for Next Generation Services on various research projects, supported among others by the European Union and the German Federal Government. Prior to founding Blacklane GmbH, Wohltorf worked as Principal at the Boston Consulting Group. His focus was on the high-tech and healthcare industries. Business travel today need not be a stressful affair due to advances in travel technology and changing standards in the travel industry. Positivity towards business travel is on a high, with 96% of business travellers saying they like business trips and do not mind travelling for business, according to recent Amadeus research. The demands of the business traveller are increasingly being met with technological innovation. Mobile technology and the ‘appification’ of various business travel services mean that more executives are inclined to make important trips to meet customers. This is crucial for businesses today, as conversion rates of prospective customers more than double with an in-person visit and an estimated 28% of revenue can be lost to competitors without face-to-face meetings. Which demands are changing the business travel experience as we know it and how is innovation in technology satisfying them? Just over half of business travellers have to make a change to travel schedules while out of the office and 38% have to amend flights while travelling. This can be a major source of stress for anyone, especially the business traveller, who is usually on a tight schedule. Technology is helping business travellers manage their bookings and itineraries more effectively while on the move. Tripit, for example, is an app that helps people to manage their itineraries conveniently. Hotel Tonight is also growing in popularity among business travellers who have to make last-minute changes to travel plans and show up at a city without a hotel reservation. Any business traveller will dread the prospect of staying in yet another generic hotel while away from home. Fed up with boring, poky rooms, business travellers now actively seek out better, more personalised accommodation options using Airbnb, the market-style accommodation start-up, which originally rose in popularity for vacation rentals. The travel tech start-up has recently debuted a business travel portal and partnered with Concur, the expense account and travel booking management company. Its business travel portal is already used by 30 companies, including Facebook, Salesforce and Eventbrite. 8% of Airbnb bookings were registered as business travel last year. Business travellers working in finance need to have consistent access to financial markets data while on the move. There are a variety of apps available on smartphones and tablets such as Bloomberg, StockTouch and Hargreaves Lansdown’s HL Live app, which are already very popular among the business travel community. Next, we can expect a trend of financial data companies like Bloomberg and Reuters to establish hubs in airports, which will help keep business travellers in touch with markets. For example, Bloomberg recently established a Hub at London City Airport. Upon arrival in the destination city, business travellers need to travel effectively from meeting to meeting in comfort and without having to bother booking taxis or getting buses. Affordable chauffeurs provide a mobile office where executives can travel comfortably, work online using in-car wi-fi and relax in the knowledge that the driver is discreet. Travellers also want the convenience of organising chauffeurs through one global service without the need to download local apps and clones when arriving at the airport. Blacklane is rising in popularity among business travellers, for example – executives use its global booking platform for high end chauffeur services available in 148 cities around the world. Recent research shows that more than half (52%) of business travellers have outstanding travel expenses for 2013 either because they failed to comply fully with company policy or because it’s just too complex to reclaim the money they are owed. Expenses can be a real headache for business travellers, but now apps such as Concur and Expensify are growing in popularity among executives because they make it easier to collate and submit expense reports. A recent research report by HEC Paris found that a lack of internet connectivity is the second most stressful aspect of business travel, after lost or delayed baggage. Today, business travellers demand a strong internet connection to be able to video conference and collaborate on documents in the cloud, wherever they are. This demand is often met today by tech companies specialising in enterprise-grade wi-fi licences and infrastructure. iPass, for example, provides corporate licences for access to commercial wi-fi networks via 13 million hot spots, which ensures that business travellers get easy, reliable connectivity virtually anywhere they go.